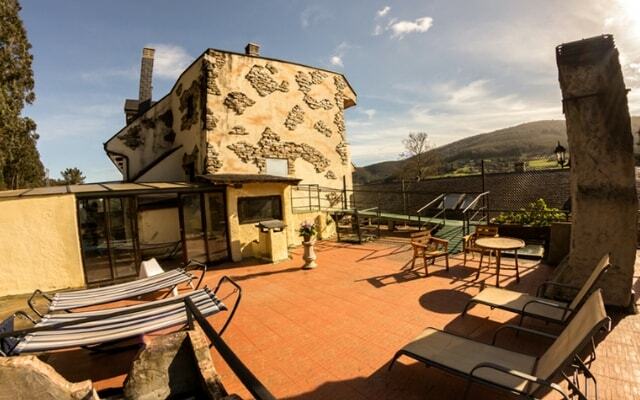 Set in more than 50 hectares, protected by the Natura 2000 Network and located in the “Rías Altas Lucenses” (A Mariña Lucense), where you and your family can enjoy both mountain and beach. 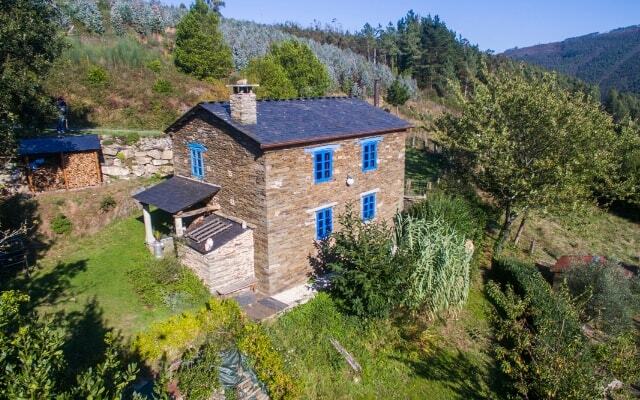 A restored stone house that is typical of Galician architecture. 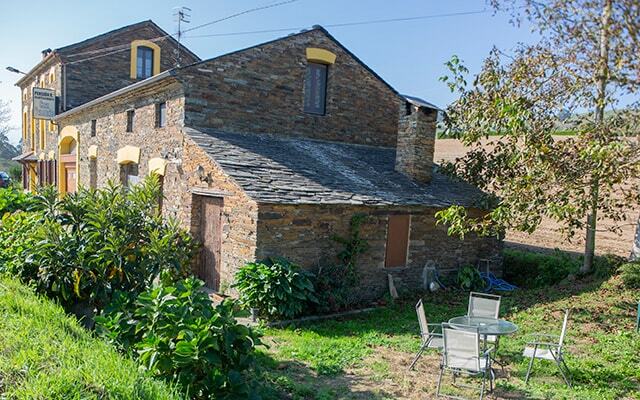 It is surrounded by a large garden where there is an old grain store, a well, a cellar in which the bread was baked… It also has a barbecue, swings, a small vegetable garden and various fruit trees the customer can enjoy. 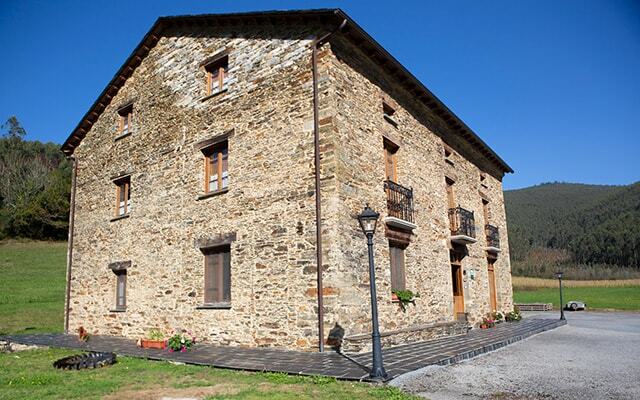 Casa Carballeira is divided into three fully equipped apartments. 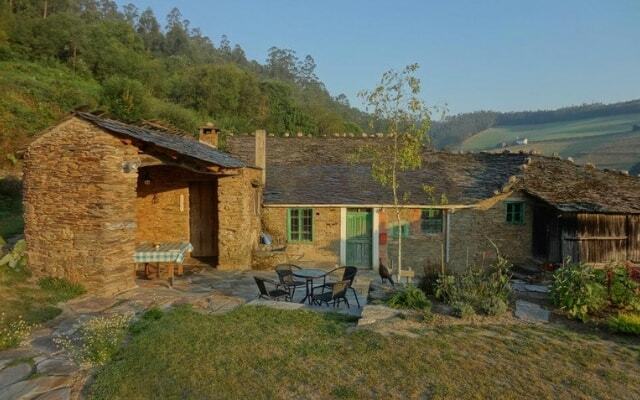 Rooms available in a typical Galician stone house. 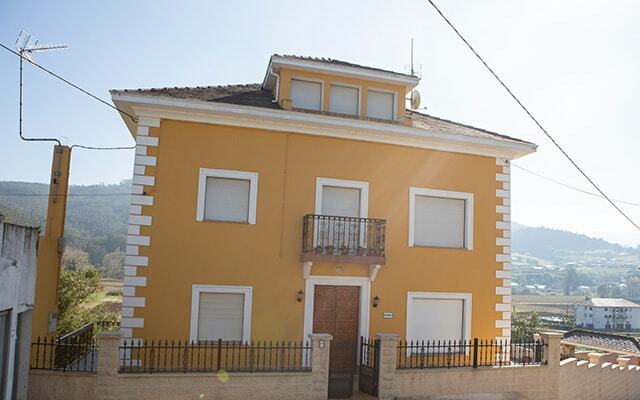 It consists of a living room, three double bedrooms with bathrooms, and a single bedroom with a separate bathroom. All of them have a television, heating and beautiful views. Breakfast is optional. 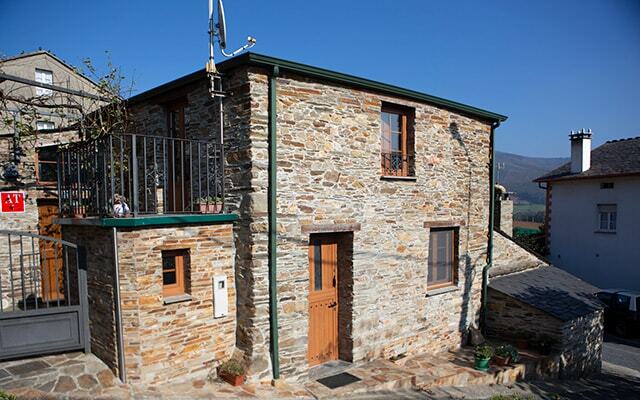 In addition, it has a kitchen with microwave, electric cooker, kitchen utensils and barbecue. Whole barn to rent. Sleeps up to 4 people in 2 en suite bedrooms. The upstairs bedroom has a double bed, and downstairs there are 2 single beds. Both bathrooms have power showers. 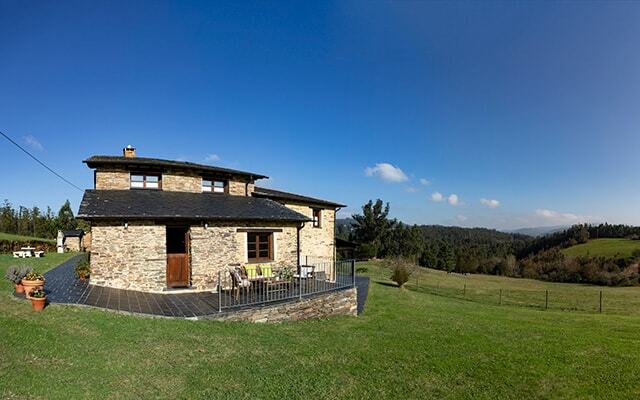 It has underfloor heating, wood burning stove, Wi-Fi, 42” HD English and Spanish TV, kitchen and utility area. Nordic cabin of 80 m2 for 4-7 people, with everything you need: heating, dishwasher, washing machine, parking… It has a living area with a large kitchen, dining room, two bedrooms and a bathroom. It has also an outside furnished area with porch and a garden. 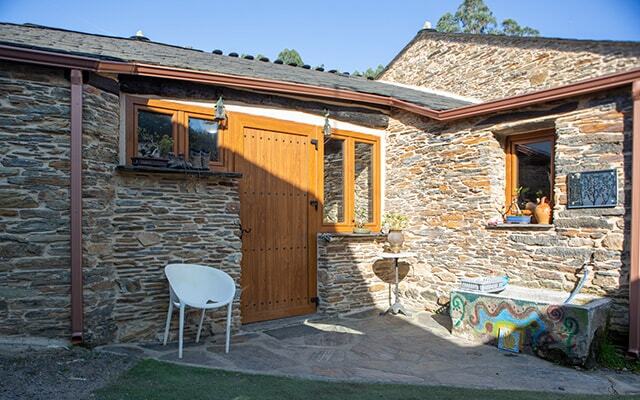 This house is a small and very beautiful getaway, tastefully restored in true Galician style using local materials. All the electrical appliances are “hidden” in the cupboards. 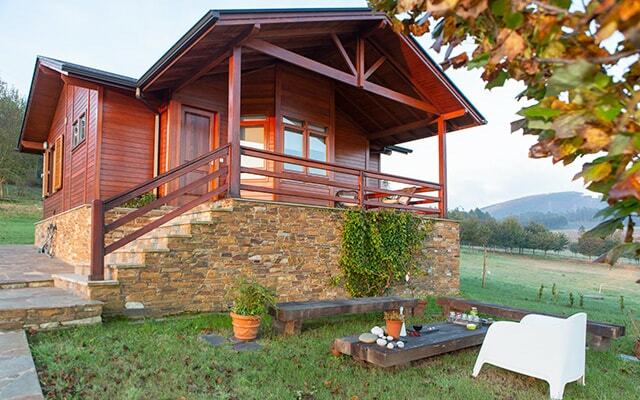 It has a wood-burning stove with a bench behind it, something typical of the Asturian-Galician Mountains. Beautiful mountain views. 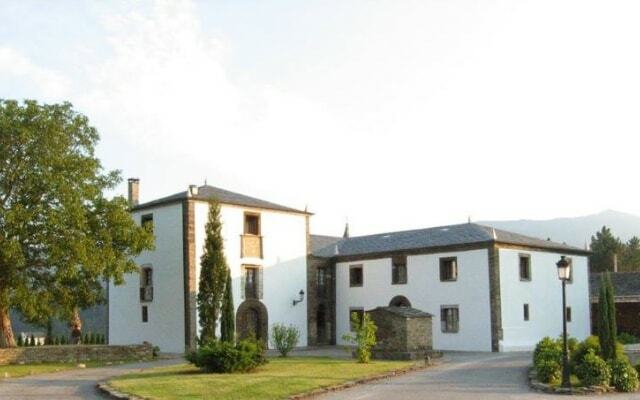 It has 6 bedrooms, a kitchen with an oven, a seating area and a bathroom. It has a barbecue and a playground. A hostel adapted for people with disabilities. All bedrooms, spa and common areas are adapted for people with reduced mobility. We also have a wide variety of homemade food, free Wi-F and transportation for guided tours and trips.